A wild hallucination around the hotel deathbed of Valerie Jean Solanas, convicted would-be assassin of Andy Warhol. Inspired by Sara Stridsberg’s novel The Faculty of Dreams, Plexus Polaire's latest piece uses life-size puppets, broken songs, video-projections, humour and a desert of solitude to tell the story of Solanos (1936-1988), a writer, radical feminist and creator of the infamous SCUM Manifesto. Plexus Polaire return to Jacksons Lane following their run of Ashes at London International Mime Festival 2017, which received widespread critical acclaim and toured internationally. 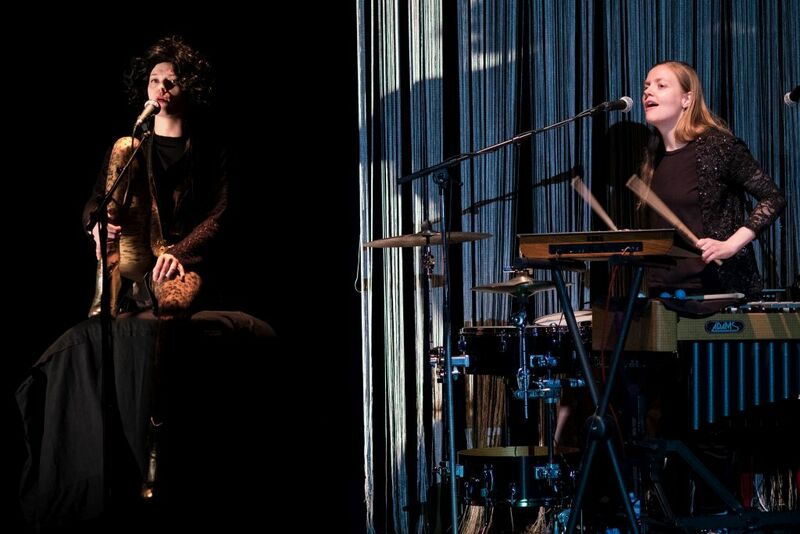 Chambre Noire features the work of puppeteer Yngvild Aspeli and percussionist Ane Marthe Sørlien Holen. The Saturday 4pm performance will include English surtitles. An after-show discussion will take place following the Sat 26 Jan, 8pm performance. "A highly accomplished show, with a well-crafted visual and acoustic identity, and dramaturgy that equals the best contemporary theatre." "A mixture of fire and ice, precision and emotional fury, a complete and unavoidable work."